Despite the promise of strong winds, rain and pretty horrible weather all round, as well as a landslide closing my regular train line and thus having to take a much longer route, I headed up to London last Friday to meet my Mum. It's become a tradition that we meet just before Mothers Day and enjoy some time just the two of us. 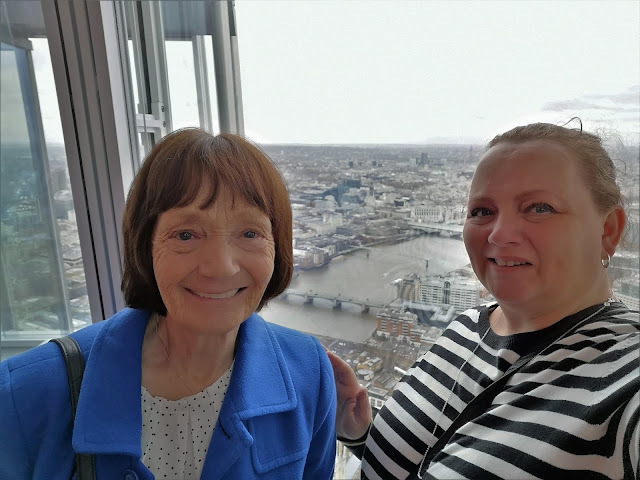 We were booked in to the Premier Inn at County Hall on the South Bank and had plans to go to the Shard on Saturday morning but the rest of the time was free of plans. We love to see a show together, so were hoping for a musical but due to my train problems I didn't arrive into London until much later than normal. I hadn't managed to bag any deals in advance even though I'd played the theatre lotteries and tried to get rush tickets via TodayTix and I figured we were a bit late for the Leicester Square half price ticket office so I went for tickets for a play instead. I'd read rave reviews for The Curious Incident but sadly it didn't turn out to be a play we enjoyed. It was certainly clever and an excellent insight to what it must be like to live with Aspergers but we ended up leaving half way through. 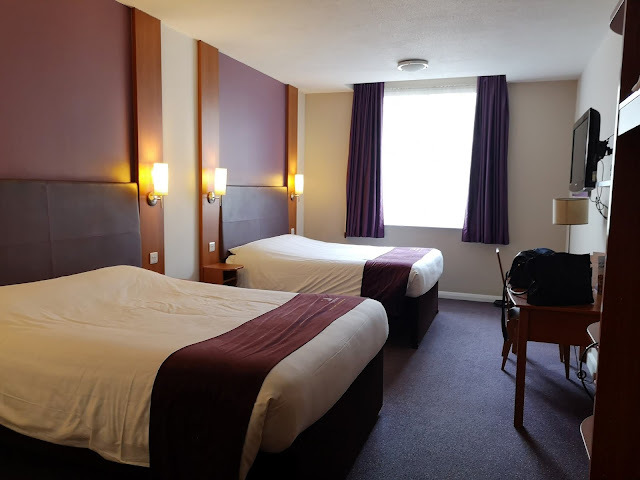 * Great bedroom at the Premier Inn, County Hall. The position is amazing, you get two king size beds in a twin room and we even got a free breakfast as we were woken by noisy door slamming by the staff. * Mum and I did loads of walking, it is so good to just wander around and chat. Thankfully the weather mostly remained OK too. 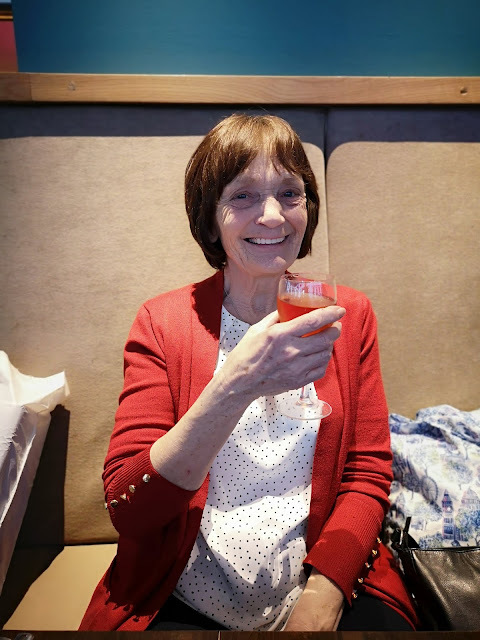 * We had a fabulous meal at Prezzo on Glasshouse Street. I'd bagged a great deal on Red Letter Days when they had a sale and we both enjoyed a glass of Rose and two course meal. We did have dessert included as well but neither of us could manage it and I'll take that as a win, as in years gone by I'd have eaten it just for the fact that it had been paid for. 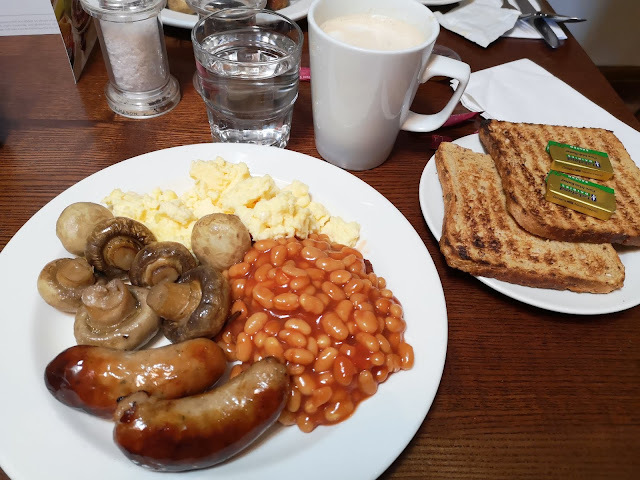 * I adore Premier Inn breakfasts, really can have a feast and they always have decent quality ingredients. * As the weather wasn't that great we didn't have any queue at the Shard and that was great, I was worried how long it might take us. Probably not a photo either of us likes of ourselves, but we're together, we're smiling and we were having fun. * Due to the high winds forecast on Saturday many of my trains were cancelled as they go right along the beach, so thanks to my hubby and Miss M who drove to get me from a different station when I finally got on one. 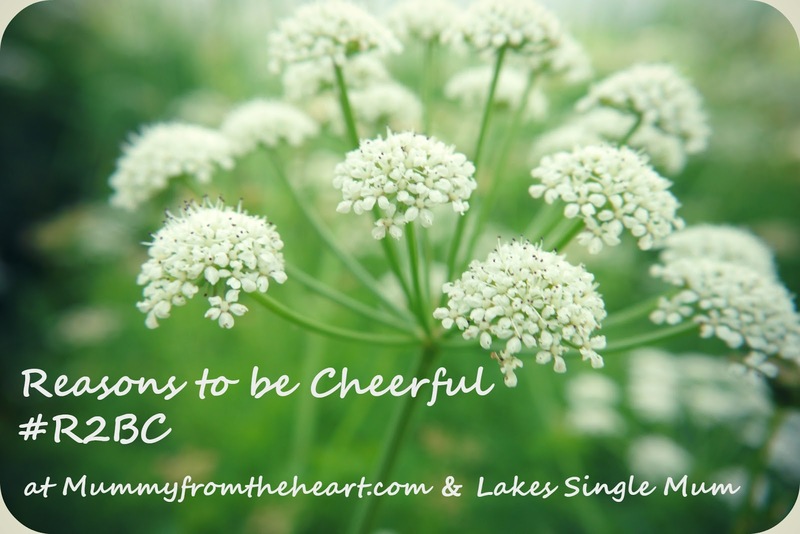 Why not write up your cheery post and head over to Lakes Single Mum to link up with Becky for this weeks Reasons to be Cheerful linky.